Buying bitcoins and other cryptocurrencies in China used to be easy, when people were able to buy and sell bitcoins at local bitcoin exchanges such as OKCoin, Huobi and BTC China. However, in late 2017, all bitcoin exchanges in China were banned from cryptocurrency trading. 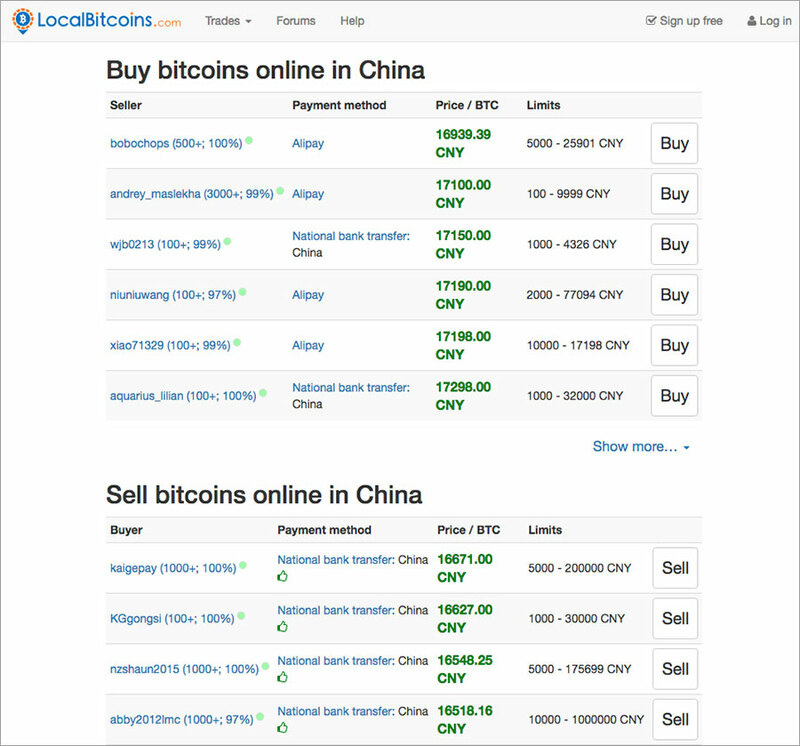 As a result, it’s no longer easy to buy (and sell) bitcoins in China. In this article, we will introduce some alternative methods to buy bitcoins in China under the current situation. Bitcoin has been very popular in China. You might have heard that there are a large number of bitcoin miners in China, and the bitcoin trading volume used to be very high in China (before Chinese bitcoin exchanges were banned from bitcoin trading). It’s well known that people can make some serious money by trading bitcoins, and the bitcoin price has been rising sharply in the last few months. At these exchanges, users were able to buy bitcoins and other cryptocurrencies using fiat currency such as RMB. In late 2017, the Chinese government ordered all bitcoin exchange in China to stop cryptocurrency trading. After that, buying bitcoins in China became quite difficult. Why did the Chinese government decide to shut down local bitcoin exchanges?Well, here’s one possible reason: to prevent Chinese people from sending money out of China. If you have been staying in China for some time, you must know that getting money out of China is quite difficult. There is a USD $50,000 per year limit for anybody in China to send money overseas without the government’s approval. Many people in China want to transfer money out of China for different reasons. And the law makes it very difficult to do so. Then people discovered bitcoins can be used to bypass this restriction. As many people know, bitcoin is a digital currency that doesn’t belong to any country. There’re many ways to buy bitcoins. Given the right tool (such as a bitcoin wallet), you can transfer bitcoins worldwide between two bitcoin accounts anonymously. Therefore, if you want to transfer a large amount of money out of China, you can buy bitcoins using renminbi (RMB) at a China bitcoin exchange (such as OKCoin) and then transfer the bitcoins to a overseas bitcoin exchange (such as Coinbase) and then sell the bitcoins at the overseas exchange and finally withdraw the cash (such as USD) to your overseas bank account. In this way, you can bypass the USD 50K limit. This method used to work quite well for some time, until early 2017, when the Chinese government noticed this “hole” in their system and decided to stop it. As a result, bitcoin exchanges in China were told to temporarily halted bitcoin withdraws. As a result, you could still buy/sell bitcoins using RMB in China and you could still deposit RMB and withdraw RMB, but you could no longer move your bitcoins to another bitcoin account (for example, your bitcoin account at an overseas bitcoin exchange). In the beginning of June 2017, China’s large bitcoin exchanges started to allow bitcoin withdraw again with some new restrictions on bitcoin withdraw amount. However, around September 2017, the government decided to completely ban cryptocurrency trading at local bitcoin exchanges. As a result, using bitcoin to get money out of China is no longer easy. How to Buy Bitcoins in China Under the Current Situation? After all local bitcoin exchanges were shutdown in China, cryptocurrency trading activities declined dramatically in China. 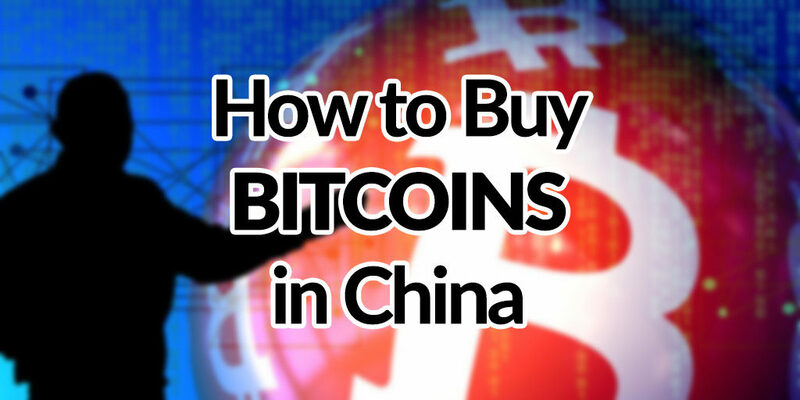 However, people have found some other ways to buy bitcoins in China. For example, you can still buy bitcoins from overseas bitcoin exchanges such as Coinbase, Bitfinex etc. However, it’s quite difficult to open an account at most overseas bitcoin exchanges. Moreover, to fund your oversea account with fiat currency, you will be restricted with the USD $50,000 per year limit for cross-border money transfer. Some people in China choose to trade bitcoins offline (face-to-face). For example, two people can meet face-to-face. One can pay the other with RMB cash or send money to him/her using WeChat. The other person can transfer bitcoins to the first person using a mobile bitcoin wallet. You can see, while this method works, it’s far from secure and convenient. Under the current situation, many people believe the best way to buy bitcoins in China is to use peer-to-peer marketplaces or OTC (over-the-counter) bitcoin exchanges such as LocalBitcoins. Services such as LocalBitcoins are bitcoin marketplaces for peer-to-peer bitcoin trading. This kind of P2P bitcoin exchanges differs from other bitcoins exchanges such as Bitfinex in a number of ways. For example, at Bitfinex, the buying and selling processes are transparent and you don’t know who has bought whose bitcoins. At a peer-to-peer bitcoin marketplace, sellers can post their offers and the buyer buys bitcoins from the seller directly. Unlike with traditional bitcoin exchanges, where all buyers need to send money to the exchange first (and the payment process might involve international money transfer), at P2P marketplaces, the buyer pays the seller directly using a payment method the seller is happy with, for example, bank transfer, Alipay, WeChat, or even face-to-face cash payment. For example, if you live in Shanghai and you want to buy some bitcoins, you can log on LocalBitcoins where you might find some sellers in China willing to sell some bitcoins and accept Alipay as a payment method. You decide to buy from that guy and you send money to him using Alipay (or using WeChat, bank transfer, or even cash). Once your payment has been verified by the exchange, the seller’s bitcoins will be transferred to you. As you can see, in this way you can trade bitcoins in China without going through complicated account opening and international money transfer as with bitcoin exchanges such as Coinbase and Bitfinex. The downside of using a P2P bitcoin exchange is that the trading process takes more time, and it’s definitely not as smooth and easy as with traditional bitcoin exchanges. Also, you might need to be ware of bad guys when doing your trade. But given that there’s not many better options left, this is still a good way to buy and sell bitcoins in China under the current situation. As it turned out, after bitcoin trading was banned from China’s local bitcoin exchanges in 2017, the trading volume at both Localbitcoins and Pafxul increased dramatically.